New stuff and Group gift! I have made new shelfs. There are set on the our main store. And, we set *Y's HOUSE* ID Shelf 04 [white/mesh]_H700 (one of the new shelfs) as a group gift. The gift is set at yard of our shop as always. Please activate your group tag and touch the signboard. The term for gift is from 9th of Sept. 2012 to 15th of Sept. 2012(JPT/1week). *We never send or set same gift after the term. And then, we will set the price for *Y's HOUSE* ID Shelf 04 [white/mesh]_H700 to normal and it will be avaiable as normal item. We are paticipating "Fifty Linden Friday" this week. 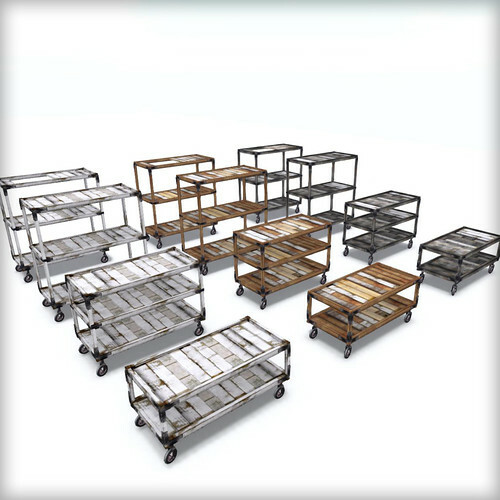 We mark new stuff(shelf) with 50L during the following period. 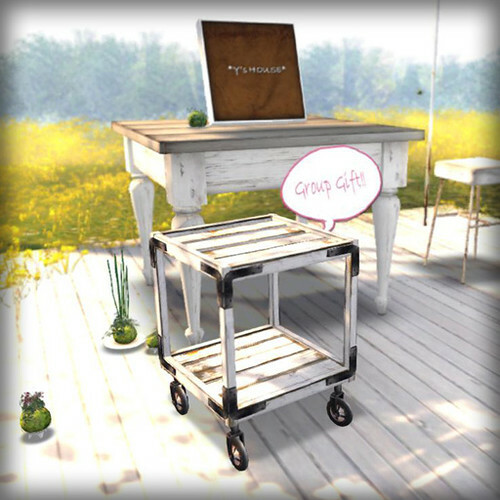 Fifty Linden Fridays and Group Gift! My great love for basket makes me make another basket. I have made baskets for summer. Different versions of past one. There are many new baskets lying on the floor of our main store. 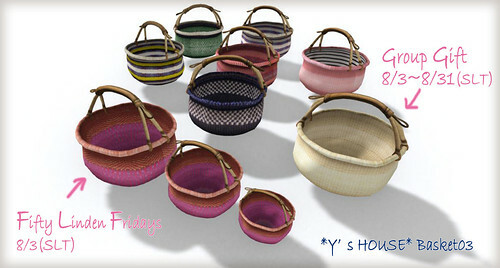 I set one kind of them for Fifty Linden Fridays. You can get it at 50L$ only during this Fridays. And I set the other colore as a group gift. Please activate group tag and touch the vendor, and you can get the gift.